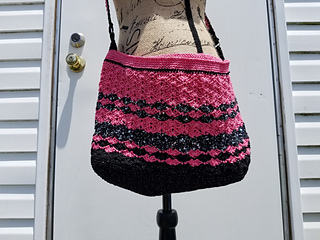 Here is a fun purse/crossbody for any time of the year! 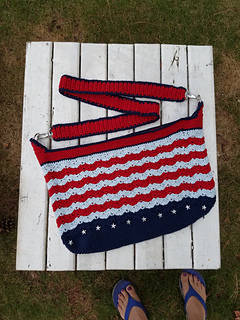 Made with a sport or DK wt cotton blend yarn. You will also need a zipper, 2 D rings and if you wish to add a lining a small piece of coordinating fabric.